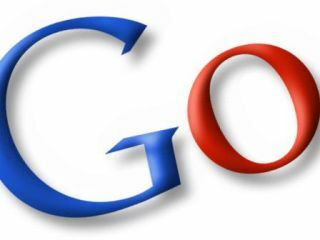 According to new research commissioned by Google the internet contributes £100 billion a year to the UK economy. Google's research, carried out by Boston Consulting Group (BCG), claims that the internet accounts for 7.2 per cent of the UK's gross domestic product (GDP). The figures show the UK's internet economy to be Britain's fifth largest economic sector, bigger than the transport industry and the construction industry. 60 per cent of the £100bn a year is made up from online shopping and internet-related consumption, which related to the amount of money we spend on our ISPs, as well as our computers and smartphones we use to access the web. You can see the report online at The Connected Kingdom: How the internet is transforming the UK, which outlines that the sector is set to grow around 10 per cent each year, hitting 10 per cent of the UK's overall GDP by 2015. "The internet is pervasive in the UK economy today, more so than in most advanced countries," said Paul Zwillenberg, partner with BCG. "Whether they are driving international expansion, improving their interactions with customers or the efficiency of their supply chains, U.K. companies are increasingly embracing the Internet's potential. Several industries—including media, travel, insurance, and fashion—are being transformed by it." Google UK boss Matt Brittin, added: "We all know how the Internet has changed the way people access information and communicate. Now for the first time we can see how its adoption by British business has become a major contributor to the U.K.'s GDP, and that the Internet is a central pillar of the U.K.'s economy. "The internet is a central pillar of the UK's economy," adds the Google UK boss. "The sector has come of age, and with great prospects for further growth the UK internet economy will be vital to the UK's future prosperity."